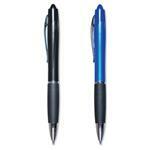 The Paper Mate® Element Ballpoint pen will take your business out of it's element with its sleek and trendy design. 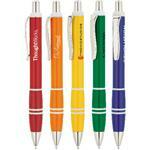 Choose between three different barrel colors: pearlized, translucent, and white. 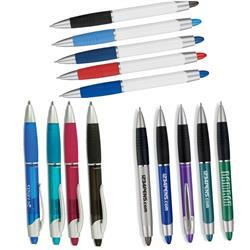 Pen features a pocket clip, matte silvertone trim, and a rubber grip with wavy impressions. 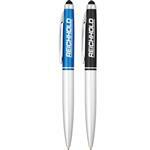 Includes the standard Paper Mate medium-point black ink. 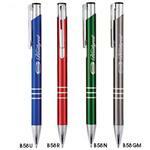 Customize with your company logo for your customer appreciation gift! 4-color imprint at $.08(G) each. 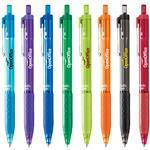 Over 4 colors, please call for quote.